Stern and Byrne get their run started with an introspective issue about Cap’s past, in which they undo all the crap that happened over the past two years to rewrite his origin to the point where the character made no sense. They do it by saying it was all false implanted memories. It’s a quiet and intimate start to a terrific run. And they pay tribute to artist Sal Buscema. 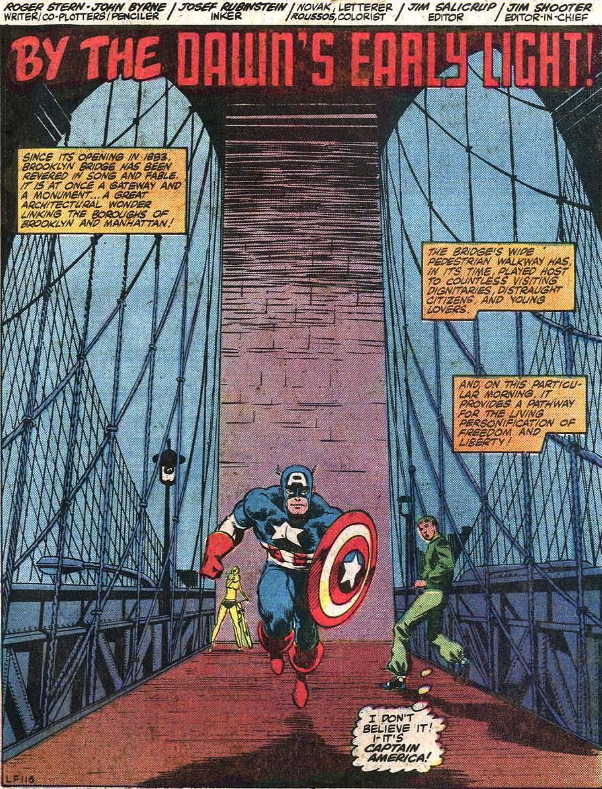 Captain America (series), Comic Book Creators Appearing in Comic Books, Marvel 1980, Stern and Byrne Cap!